The 22-year-old is juggling playing, managing and college commitments. Kilkenny was speaking at yesterday's Higher Education launch and draw. 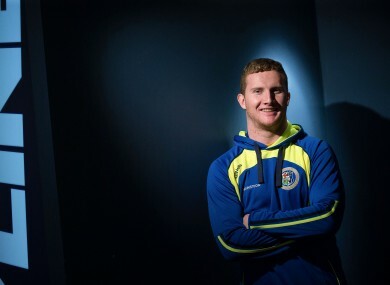 HE’S A 22-year-old AllStar with the GAA world at his feet – and two All-Ireland medals stuffed in his back pocket – but spare a thought for the less glamorous side of Ciaran Kilkenny’s football career. Dublin’s skilful centre-forward will captain the St Pat’s footballers in the 2016 Sigerson Cup and the task goes hand in hand with being player/manager of the team. The Castleknock man is taking the testing task so seriously that he has skipped Dublin’s team holiday to Thailand, turning up instead at Croke Park yesterday for the third level championship draws. A dual star at underage level for Dublin, Kilkenny also expects to play in the Fitzgibbon Cup next spring for St Pat’s though college football is clearly taking up most of his time, as he outlined. “A funny story, we arrived up in Monasterevin there a few weeks ago, the game was due to throw-in at half seven,” said Kilkenny. “We arrived there in grand time, quarter to seven, but there were these bridges in Monastereven and the bus driver wouldn’t go under them. “So we were going every different direction to get around these but just kept coming to different bridges so eventually, at a quarter to eight, we had to walk under the bridge to the ground. “I had the bag of balls over my shoulder, the bibs, the cones, everything, walking down there in the dark. “We were told it was a 10-minute walk but it was about 25 minutes. The bag of balls on my back had about 13 balls in it, the balls falling all over the place. Kilkenny revealed why he had to turn his back on the Dublin team trip to Thailand. Email “Dublin star Ciaran Kilkenny skips team holiday to concentrate on new management role ”. Feedback on “Dublin star Ciaran Kilkenny skips team holiday to concentrate on new management role ”.